Posted on 3, April 2019 by EuropaWire PR Editors | This entry was posted in Construction, Infrastructure & Utilities, News, Retail, Spain and tagged Abengoa, Andalusia, construction, electromechanical installations, family leisure center, Grupo Lar, Lagoh, Lar España, Seville, Shopping-Center. Bookmark the permalink. SEVILLE, 3-Apr-2019 — /EuropaWire/ — Abengoa marks first year since the electromechanical installations awarding of the new Lagoh shopping and family leisure center in the area of Palmas Altas in Seville. Works in the shopping center are being carried out by Lar España through its management company, Grupo Lar. The project worth €22 million was awarded to Abengoa in March 2018. Abengoa is responsible for developing and executing the medium and low voltage electrical installations, telecommunications, sound system, control of car parking and accesses, etc. The mechanical installations also includes plumbing, air conditioning, sewage, ventilation, geothermal energy, control of building installations, gas, firefighting, etc. Lagoh shopping and family leisure center is now in advanced construction phase. It will have a total built area of approximately 180,000 m2, more than 200 stores, with 40 restaurants and terraces, 11 movie theaters, a 6,000 m2 lake and more than 3,200 parking spaces. It will be the largest shopping and family leisure center built in Andalusia. 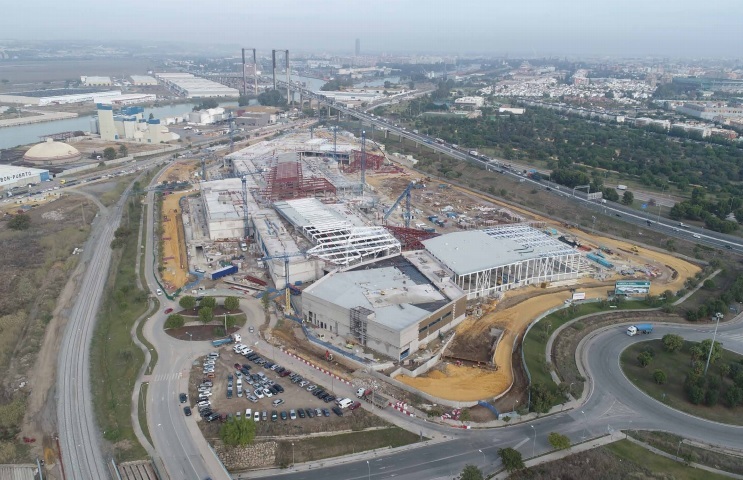 Abengoa’s works include the design, construction and equipment of the Palace of Exhibitions and Congresses of Seville (Spain), the North Zone of Manaus Hospital (Brazil), the City of Justice in Malaga (Spain), the Mexiquense Cultural Center (Mexico), the Herlev Hospital (Denmark), or the new Loyola Andalucía University Campus mechanical installations that is currently under construction in Dos Hermanas (Spain) among others. Abengoa has more than 70 years of experience in the development of singular building infrastructures in Europe and America. Abengoa (MCE: ABG /P:SM) is an international company that applies innovative technology solutions for sustainability in the infrastructures, energy and water sectors.